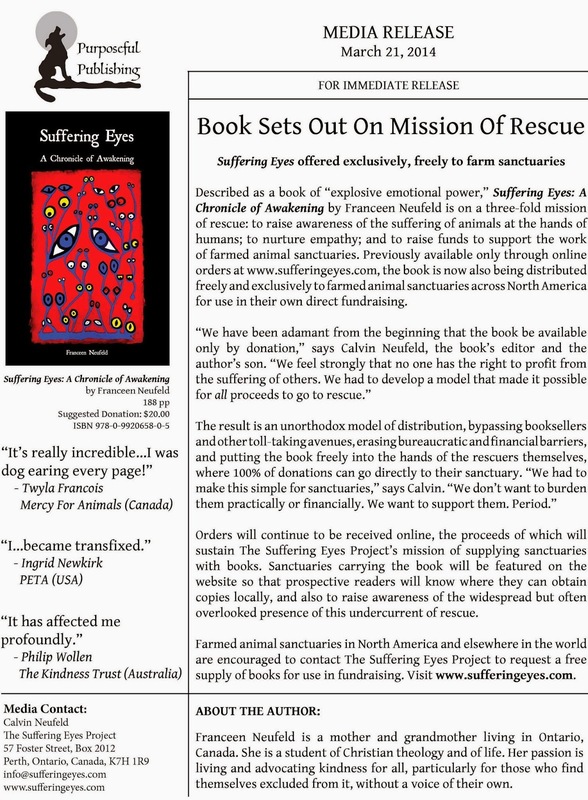 Described as a book of “explosive emotional power,” Suffering Eyes: A Chronicle of Awakening by Franceen Neufeld is on a three-fold mission of rescue: to raise awareness of the suffering of animals at the hands of humans; to nurture empathy; and to raise funds to support the work of farmed animal sanctuaries. 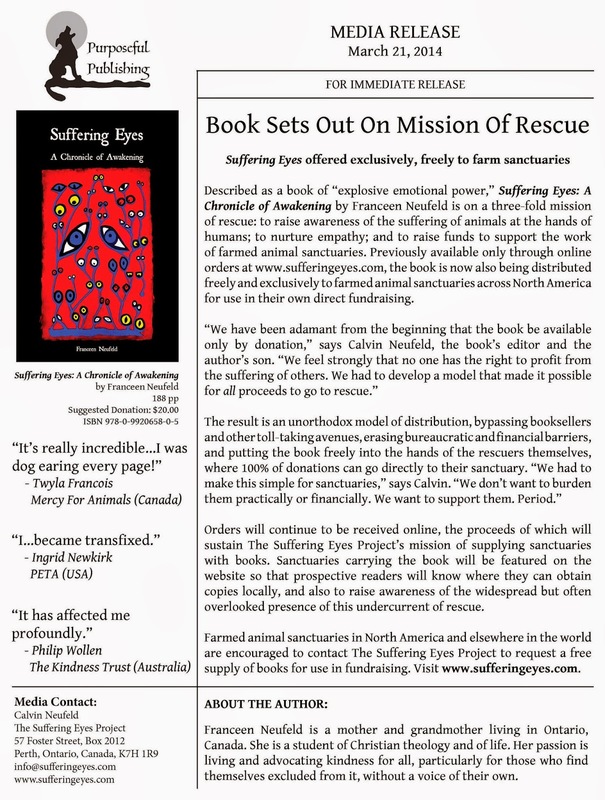 Previously available only through online orders at www.sufferingeyes.com, the book is now also being distributed freely and exclusively to farmed animal sanctuaries across North America for use in their own direct fundraising. Orders will continue to be received online, the proceeds of which will sustain The Suffering Eyes Project’s mission of supplying sanctuaries with books. Sanctuaries carrying the book will be featured on the website so that prospective readers will know where they can obtain copies locally, and also to raise awareness of the widespread but often overlooked presence of this undercurrent of rescue. Farmed animal sanctuaries in North America and elsewhere in the world are encouraged to contact The Suffering Eyes Project to request a free supply of books for use in fundraising. Visit www.sufferingeyes.com.